We can make your wood floors look new again! From repairs, to sanding and refinishing, we have you covered. We have over 15 years experience. We offer free estimates! We grew up here in Lake County and have lived in the Mentor area for over 10 years. We are proud to have raised our children here. We are excited to be able to bring our great products and excellent service to our neighbors and friends. Floor Coverings International specializes in flooring. We will develop a custom solution for you that will meet your family’s needs and unique personalities. We bring the “floor to your door” with our mobile showroom that has over 3,000 samples, so you can compare what looks best in your home. For a pricing quote please schedule an appointment for us to provide a FREE in-home estimate! 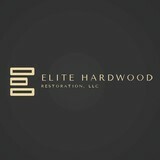 Cleveland's original sustainable hardwood flooring company. We specialize in low and no VOC floor finishing, dustless sanding, wood sourced from sustainable sources. Calvetta Brothers Floor Show: The Calvetta Brothers Floor Show has provided superior flooring consultation and installation for two generations. Come visit us to see our extensive line of hardwood floors, carpet, ceramic tile, bamboo flooring, linoleum and many other choices. Having trouble with your color selections? We have an interior decorator on staff to help you make the flooring selection that is right for you! We also offer professional carpet cleaning to help you with all your carpet needs. Lifetime Guarantee on Installation - We stand behind our work with a lifetime installation guarantee. Our installers are true carpet experts. Whether you need carpet for a single room, full house and/or carpet runners for stairs, we can do it all. 100% Satisfaction Guarantee Calvetta Brothers Construction: At Calvetta Brothers, we can make your Kitchen & Bath dreams come true…and we can show you design possibilities that will transform these areas of your home in ways you never thought possible. Make your bathroom a spa-like retreat. Open up your kitchen and truly make it part of the main living area and entertainment center of the home. 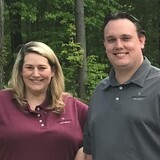 Multi generation family owned and operated Recipient of Angie’s List Super Service Award for multiple years A+ rated with the BBB We treat homeowners the way we would want to be treated and we strive for 100% customer satisfaction. Vision - We believe there is a huge difference between doing a job well and going beyond what the homeowner dreamed could be possible. We want to delight our customers with new design ideas. Full Service Kitchen and Bath Experts - We help with design, selection of colors, cabinets, granite/Corian/laminate countertops, flooring, fixtures, vanities, mirrors and more. Our skilled craftsman are experts with electrical, plumbing, removing walls, building islands – whatever is needed for your project. Communication is key - Our team of project management pros will explain the job and the schedule of work on your important project. We are always available to you. We have referrals - Talk with one of the homeowners we are working with now or who’s project we just finished. We are confident you will talk to a happy Calvetta Brothers customer. Satolli Carpet and Flooring offers sales and installation of all types of flooring, including carpet, laminate, hardwood, ceramic tile, and more. 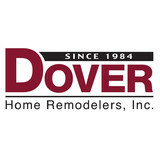 We have been locally owned and operated for over 55 years! At WestBay Floor Source we help homeowners with all they Cleveland flooring needs — we provide solutions for Cleveland carpet, Cleveland hardwood flooring, Cleveland laminate flooring, Cleveland tile flooring, Cleveland luxury vinyl plank and luxury vinyl tile flooring and other types of Cleveland flooring needs. We are a full service flooring and design center. We offer all types of flooring product as well as professional installation. Carpet, Tile, Hardwood, Vinyl and Laminates. The warm comfort that carpet provides is not just your imagination. Unlike other types of flooring, carpet is a natural insulator, providing additional warmth in cold seasons. 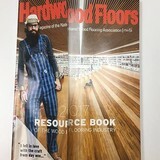 More consumers than ever are taking a global view when selecting their hardwood flooring. The dramatic possibilities of hardwood flooring are bringing an entirely new look to flooring. Laminate flooring is quite possibly the best all-encompassing package for your decorating dollar and perfect for busy families who want low maintenance flooring. Since 2014, ReNew Flooring has been providing professional restoration of existing hardwood flooring. 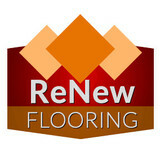 The team at ReNew Flooring takes great pride in bringing life back to your dull floors. We pride ourselves on offering high-quality services at competitive rates. No matter how big or small, we can tackle any job! We know how important your home is to you, so let our experts give you the quality of service you deserve! We specialize in new hardwood flooring installation, re-coating & screening, sanding, and refinishing. We also install carpeting. Contact us today for more information. With over 20 years of business experience, Fabulous Floors Cleveland has installed, refinished and repaired residential and commercial hardwood floors. Our installation and refinishing professionals are all highly experienced and motivated employees. Their skill and know-how ensures a quality installation and custom finish that will last a lifetime. It also guarantees that your floor will be completed on schedule, with the attention to detail you expect and deserve. Carpet Country Flooring and Design Center has been servicing Twinsburg, OH area for over 35 years! We offer quality products and honest, dependable craftsmanship.You will always find Carpet Country Flooring and Design Center prompt and courteous. We are a locally owned and operated hardwood floor refinishing company. We've been in business over four years and have an "A" rating from the BBB. We offer professional services at an affordable price, give us a call for a free in home estimate. We specialize in residential refinishing hardwood floors and new construction of hardwood flooring. We will bring hardwood flooring samples right to your home for a free estimate and consultation. Hardwood floors add value and comfort to any décor. They are affordable, ecological friendly and can last for generations. Wood is a natural resource, it does not collect and hold dust or other allergens. Health experts agree that hardwood floors are the perfect choice for a healthy home, and is the perfect choice for your hardwood flooring needs. Locally owned and operated. We have many different options to make your floor and home beautiful. We have the knowledge and craftsmanship to provide high quality professional work at a value that cannot be beat. Being a proud recipient of "Angie's List Super Service Award" three years in a row, we know what it takes to provide you with the best service that money can buy. When deciding what kind of floor will be perfect for your home, Bestlaminate online flooring store is a great place to start. We provide solutions for laminate flooring, luxury vinyl flooring, hardwood flooring, and flooring accessories. Our selection of floors include a wide variety of styles, designs, and colors to fit your style and budget. New flooring is a simple and easy way to update your home. In one weekend you can give your home a whole new look, and Bestlaminate is here to help you from the start to finish. Our friendly customer service team is ready to answer all your questions. Feel free to browse our wide selection of premium floors from Best Laminate. Ernie & Sons is a family owned and operated business in Middlefield, OH that was started by our father, Ernie Pierce in 1952. It is now run by the three children, Ken, Walt and Jerri, besides having other family employees. With over 60 years of experience, we serve the Northeastern Ohio area including Cleveland and surrounding areas. From installing new floors and repairing existing, to the sanding and finishing of old and new, we do it all! We use the dust free sanding techniques and offer free estimates. At Ernie & Sons, our motto is “You Walk on Our Reputation.” With customer satisfaction as our top priority, you can expect exceptional services whether you need new hardwood flooring installed or refinished. Contact our experts today for a free estimate! Classic yet contemporary, hardwood floors are one of the most beautiful types of flooring a home can have. However, if not installed correctly or damaged, a floor can threaten a home’s entire interior aesthetic. That’s where Parma Heights, OH hardwood flooring installers and dealers step in. Whether you need a hardwood floor installation or replacement, or just want some guidance on the types of hardwood flooring available, these Parma Heights flooring pros can help. What kinds of services do hardwood flooring installation professionals in Parma Heights, OH provide? Find hardwood floor experts in Parma Heights, OH on Houzz. Search the Professionals section for Parma Heights, OH hardwood flooring installers and dealers or browse Parma Heights, OH photos of completed installations and look for the professional’s contact information.